As it’s a few weeks after the holiday, today I’m featuring a few handmade Christmas items I received!! The above ornament was given to me in 2010 by a very crafty friend who’s been featured a few times on these Handmade With Love posts. 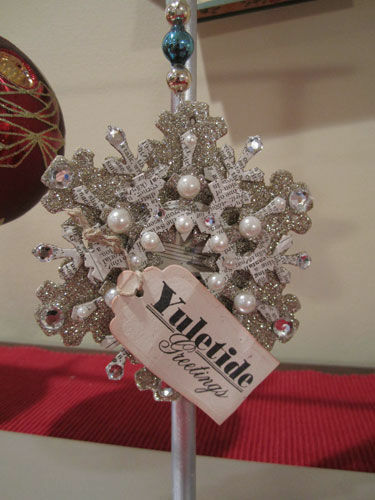 Catherine, of Art from the Heart, has a unique style that I would say often mimics a multi media modern vintage look and I love this ornament she made! This beautifully stamped and embossed card was made by Pat, a family friend, who discovered her love for the handmade craft in recent years. Love the mix of texture and dimension! 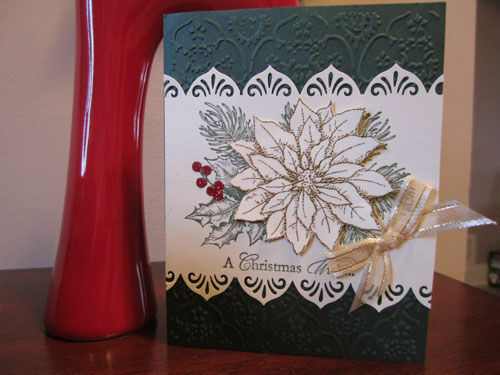 The above card was made by another Handmade with Love regular. Holly has her own creative blog, Today’s Creations, and she never lets me down with a beautifully handmade card and a matching pretty envelope to boot! 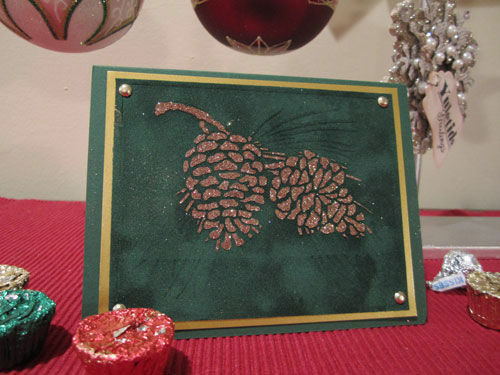 This one included lots of fun texture with a flocked background (the dark green paper) and beautiful glittered pinecones. Thanks again for all these pretty handmade goodies!! !